I just think these little images by Elena Roussakis for Neat and Tangled are adorable! I used them previously on a series of holiday cards you can find here , here or here. 🙂 Super versatile! 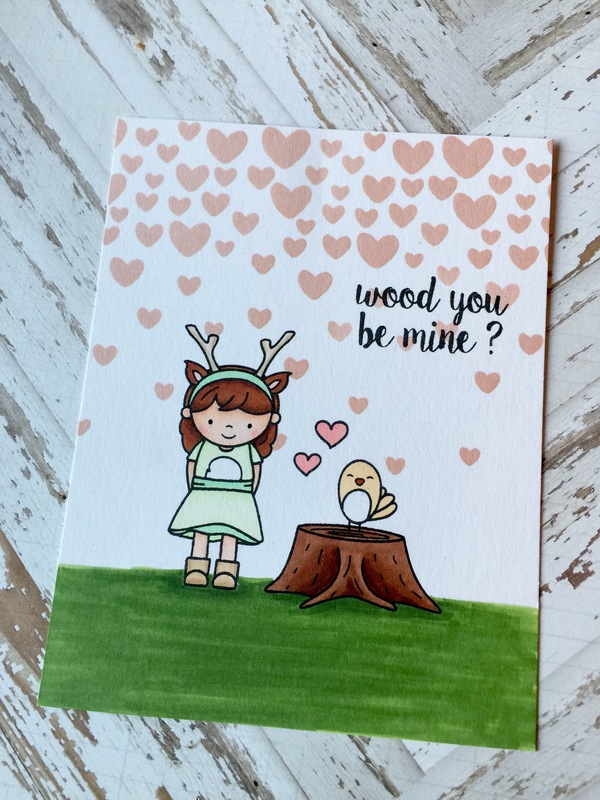 This card was made using ‘Lumberjack Love’ and ‘Falling Hearts’. First I stamped the little scene and on an A2 panel of Neenah card stock and then stamped them again on masking tape. I cut out and then placed the masked images over the originals before stamping the ‘Falling Hearts’ repeatedly across the top of the card. 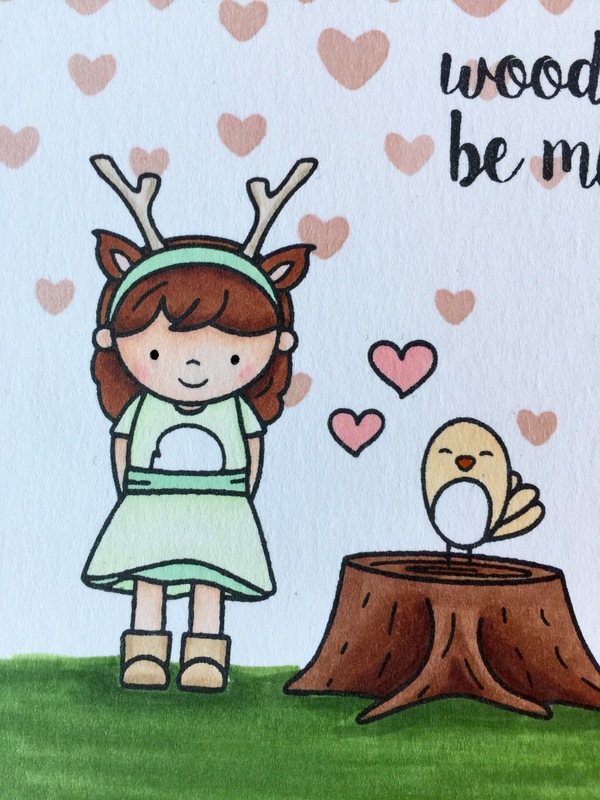 To finish the card I colored the images and foreground in with copic markers. Thanks for stopping by!